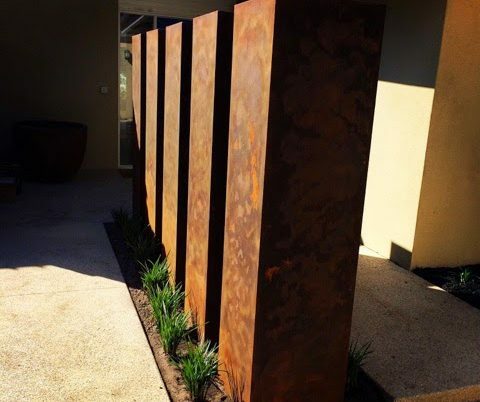 These rusted pillars once were 5 boring brick pillars waiting to stand out and be the feature of the front yard and allure you to the entrance. 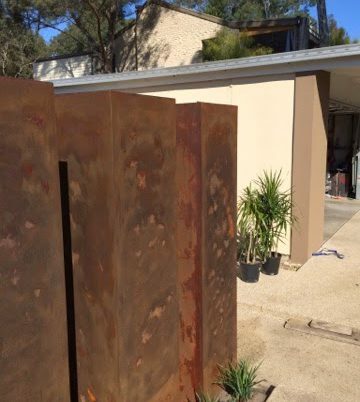 It was a long process completed over several days, first they needed rendering to hide the mortar lines and give a flat surface to be able to apply a very smooth render finish, next was a undercoat to seal the render, then the transformation happened with the rust effects applied over 5 coats to give a deep rusted appearance, finally a sealer over the top to stop any leaching of the rust to surrounding substrates. 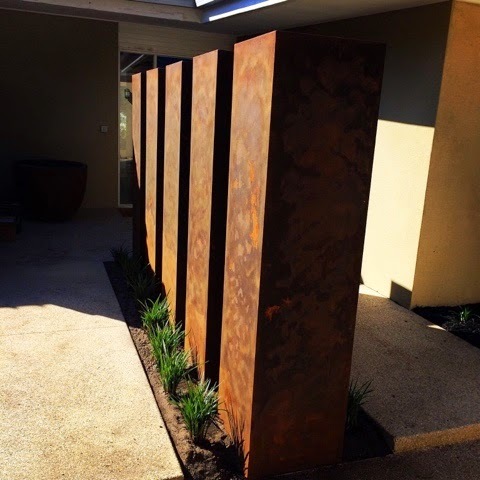 Once completed they certainly were the main feature of the front yard, with some plants and exposed aggregate surrounding them the rich rusty colours really stood out!